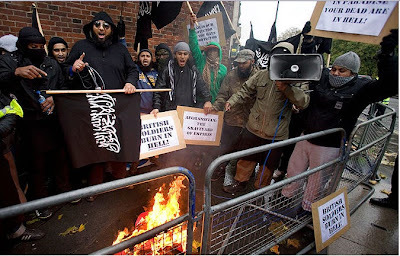 MUSLIM PROTESTERS BURN NATIONAL SYMBOL OF REMEMBRANCE OF BRITISH WAR DEAD……. – The Tundra Tabloids……. 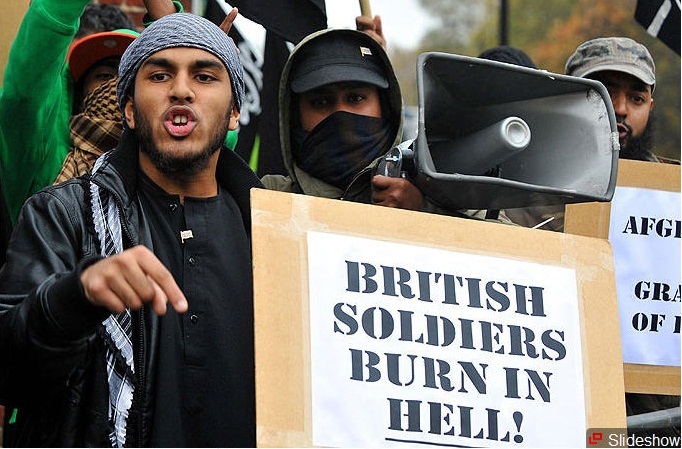 MUSLIM PROTESTERS BURN NATIONAL SYMBOL OF REMEMBRANCE OF BRITISH WAR DEAD……. SHAMEFUL protesters disgraced the memory of Britain’s war dead today by burning a model of a POPPY — as millions more held a dignified two-minute silence. 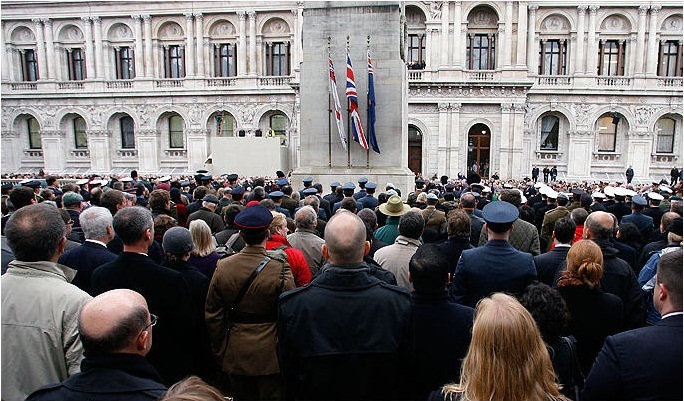 The nation paid its respects to the fallen at 11am to mark Armistice Day, including Prime Minister David Cameron who laid a wreath in South Korea. 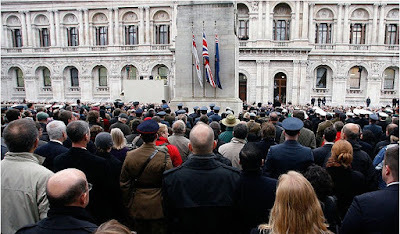 But remembrance events in London were marred by the gruesome spectacle of members of self-styled Muslims Against Crusades burning the symbol of the country’s debt to its brave service men and women killed in action. The sick protesters chanted “British soldiers burn in hell” and held banners saying “Islam will dominate” and “Our dead are in paradise, your dead are in hell”. 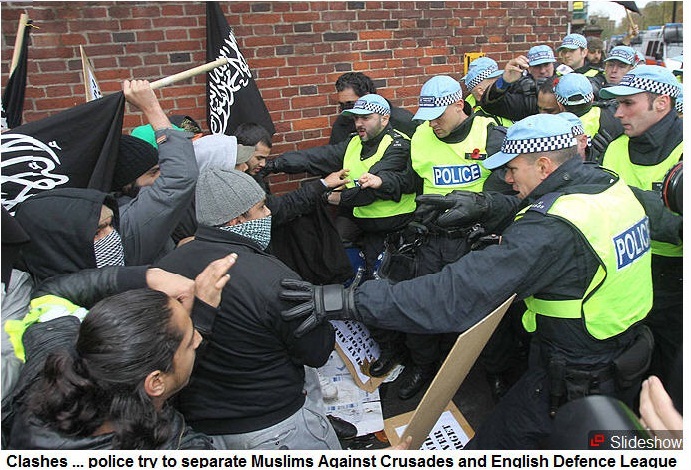 Amid outrageous scenes in Exhibition Road in West London’s Kensington around 30 people gathered to disrupt services, while 50 counter demonstrators from the English Defence League assembled nearby. Previous Post Previous Post UN SHOWS IT FEMALE EQUALITY CREDENTIALS IN REJECTION OF IRAN IN FAVOR OF SAUDI ARABIA FOR AGENCY SEAT……. Next Post Next Post HOW MUCH OF OBAMA’S 150 MILLION WILL GO TO THE MUSEUM HONORING THE MAN WHO ORDRED THE MURDER OF US AMBASSADOR CLEO NOEL……?